Discover the Dance Floor on Your Internet Stage! The Internet is a giant stage that grants unlimited possibilities to its users to reach a larger audience. Dance is an art with no language or nationality, so there are also no limits to it, and it needs a large stage in order to reach all those admirers around the world who enjoy it and who want to watch and practice it themselves. The .dance domain is this very stage where you can present the art that is your work, your passion, and the thing you want to share most—dances. 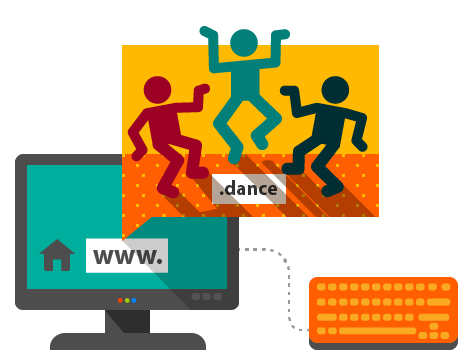 If you want to have a dance-related website, create a website for your dance school, write about dancing, share your videos or anything else related to this art, register your .dance domain now and reserve your place on the Internet stage!